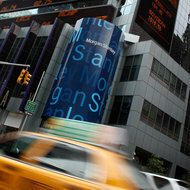 Richard Drew/Associated PressMorgan Stanley headquarters in Manhattan. Morgan Stanley will slash 580 jobs in New York as part of a broader wave of layoffs underway at the bank, according to a public filing. In a notice filed with the New York State Department of Labor, Morgan Stanley cited “economic” woes as the cause of the layoffs. The cuts began Dec. 15 on a “rolling” basis, according to the filing, known as a WARN, or Worker Adjustment and Retraining Notification. Earlier this month, Morgan Stanley said it would cut 1,600 jobs, or 2.6 percent of its work force, by the first quarter of 2012. The bank plans to spread the round of reductions across all divisions, including investment banking and trading. The layoffs at Morgan Stanley are the latest round of severe cutbacks on Wall Street, which has suffered a year of humbling returns and enormous cost-cutting. Citigroup recently announced it would shed 4,500 jobs. Bank of America and Goldman Sachs have also begun carrying out major staff reductions. 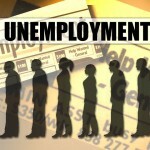 In June, Goldman told the New York Department of Labor that it would layoff 230 New York workers through March 2012. The job losses have taken a toll on New York City, the center of the financial industry. The securities industry in the city lost nearly $3 billion in the third quarter, according to a report released this month by the New York State comptroller. In October, the comptroller disclosed that an estimated 10,000 Wall Street workers could lose their jobs by the end of 2012. Some of the cuts at Morgan Stanley in New York, the filing said, will impact workers at the firm’s Midtown Manhattan headquarters, 1585 Broadway. The layoffs will also affect three smaller Morgan Stanley offices in New York: 1 New York Plaza, 750 Seventh Avenue and 1221 Avenue of Americas. The U.S. jobless rate fell to 8.6 percent in November. It’s a sizable reduction, but it’s still not low enough for the president to get some credit. Daniel Stone reports. It’s the number that drives Washington, and on Friday, offered some welcome wind at the back of President Obama. 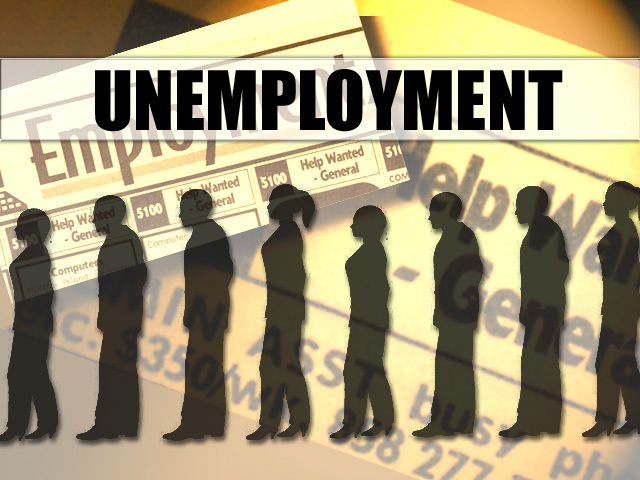 The Bureau of Labor Statistics announced on the traditional first Friday of the month that the unemployment rate in November had dropped to 8.6 percent from 9.0, a statistical blip that translates to about 120,000 Americans who have new jobs. One unfortunate caveat in otherwise good news is that joblessness hasn’t just gone down. Half of Friday’s drop was because of new jobs added, and the other half because about 315,000 people stopped looking for work, which means they’re still unemployed, just no longer counted in the labor force. But does the optic of a lower number help Obama make his argument that his policies are working? It’s also unlikely to numb any of the criticism coming from Republican presidential candidates, who in past months have dinged Obama for a 9-percent rate—and during August, creating zero net jobs. Frontrunner Mitt Romney was nonplussed by Friday’s news, pointing out that unemployment has been above 8 percent for 34 months, almost exactly the length of Obama’s presidency. “The Obama administration may have come to accept such a high level of joblessness as the new normal. I will never accept it,” Romney said in a statement released by his campaign before the White House could even release its prepared remarks. There’s reason to believe the depressed unemployment rate could still go right back up in the months ahead–specifically after the holiday spending binge, when campaign 2012 heats up. One is the continued reluctance of many companies to hire, and the other is the spiraling European debt crisis, which is entirely out of U.S. control but still holding substantial influence over American markets. The White House knows that one month’s numbers don’t necessarily make or break a political argument, especially considering that the BLS frequently revises data from past months to reflect economic dynamics that are hard to quickly measure. Yet Alan Krueger, chair of the White House Council of Economic Advisers, dusted off on Friday what’s been a frequent administration refrain—and likely to be Obama’s best argument for reelection next year. Political translation: we’ve still got lots to do, but come on, give us some credit. Daniel Stone is Newsweek‘s White House correspondent. He also covers national energy and environmental policy.